Develop an expertise working with young children. Gain a globally recognised qualification. Progress your career. The Postgraduate Certificate in Early Years Teaching course is ideal for people living outside of the UK who already work with children aged 0-5. If you want to develop a specialism or further enhance your professionalism in teaching young children up to the age of five, then this course is for you. This course is aimed at professionals/practitioners who will engage in an intensive one year blended learning programme to acquire knowledge, understanding and skills with regard to working with children and families in the international early years context. Our course is unique and distinctive in that it offers a highly flexible mode of learning with course delivery and assessment entirely via distance using our university VLE (virtual learning environment), without ever having to come to the UK. You can learn from anywhere in the world that has internet access, as learning materials will be e-books, online journal papers and other online resources. There will be online discussion forums where you can debate current issues relevant to the module content. All academic assignments are marked online (with online feedback). Teaching practices are monitored continuously by your PAT (personal academic tutor) and you will upload documentation and evidence weekly for feedback. Your progress will be assessed with written assignments, and observed teaching. This programme has four modules of applied theory (40 credits at undergraduate level and 60 credits at Masters level) which are spread out over the academic year. The four modules of applied theory allow you to examine the context of young children’s learning and development. You will also explore how to assess development and learning, how to construct a curriculum and how to lead Early Years provision. Additionally, and concurrently, you will undertake two teaching practices in an Early Years setting of your choice – either at your own workplace or with an employer who is willing to provide you with a placement and mentor. This distance-learning course can be studied from anywhere in the world. You'll need internet access to use our Virtual Learning Environment, where you will access specially designed learning materials, e-books, e-journals, relevant websites and multimedia. We usually require applicants to hold an honours degree or equivalent. You must be able to undertake teaching practice as part of this course. This can be in the school where you already work, or another educational institution. If you are currently not employed as a teacher and will be seeking a placement school please read our Advice to applicants seeking a placement before applying. 2. A copy of your degree certificate. 3. If English is not your first language you need to send proof of IELTS level 6.5 or equivalent. Applicants whose first language is not English must achieve a minimum IELTS band score of 6.5, with 6.5 in writing, and no less than 6 in Reading and Speaking and Listening. Without these documents we will be unable to offer you a place on the course. The annual fee for this course is £7,100. A £1,000 deposit must be paid prior to the start of the course. This deposit is refundable up until the point of enrolment. This degree is ideal for teachers and other people working with children aged 0-5. It will qualify you for more senior positions in teaching and educational management in schools and educational institutions around the world. The theory and practical elements of the course will help you gain greater satisfaction from your involvement in Early Years. With up-to-date knowledge and expertise in child development, early years curriculum and pedagogy you will be in a strong position to make effective applications for teaching jobs and promoted posts. This course leads to a Postgraduate Certificate in Early Years Teaching (PGCert) that is accredited by the University of Sunderland. Please note that this course does not award Qualified Teacher Status (QTS), which you need to teach in any state-maintained school in England or Wales. From our previous cohorts successful graduates have moved to enhanced job roles, both within and out-with their existing workplace settings. 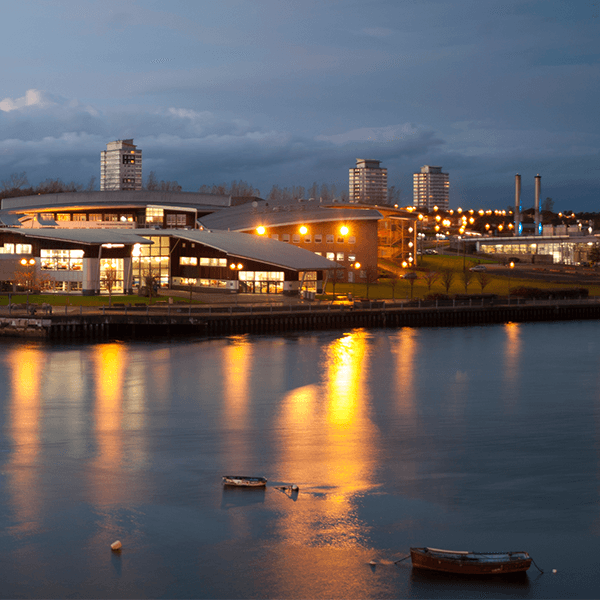 Successful graduates from this programme have used their Masters level credits to gain entry to and accelerate their progress on Masters degree programmes both at the University of Sunderland and other international universities. The level of education that I’ve received has been beyond exceptional.